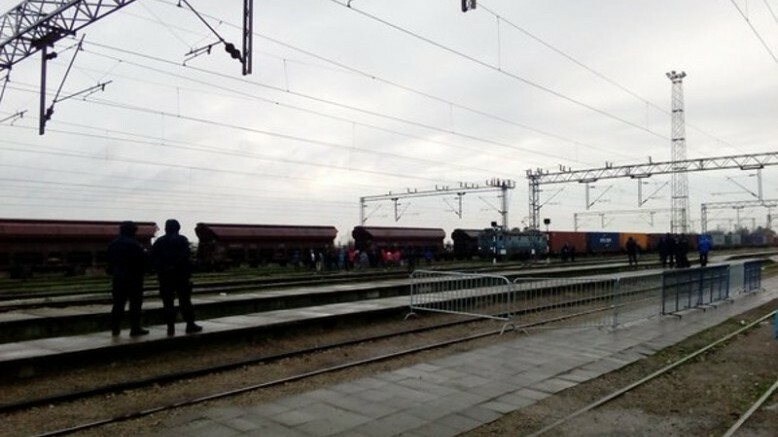 The people who were involuntarily and forcefully returned from Slovenia to Croatia and then further back to Serbia on 16th February 2016 started protesting at the train-station in Sid at the Serbo-Croatian border. The protesters are blocking a cargo train to denounce the unlawful push-backs and demand the opening of the border. They further commemorated the probable death of one of their friends, Siawash, who was said to have died when jumping out of the train to evade his push back to Serbia.